"Why does anyone gas weld 4130 tubing anymore? Tig welding rules... "
"E70s-2? WHy not use 4130 rod? because E70S-2 is more forgiving and forgiveness is good...thats why. " 1. Preheat is not necessary for tubing under .120" thick. however it sure won’t hurt anything. If the ambient temperature is less than 60 F, I would say preheat to at least 100F. You can easily do this with a small propane torch from Home Depot. 2. Weld a little slower than normal. This just makes sense. Think about it. 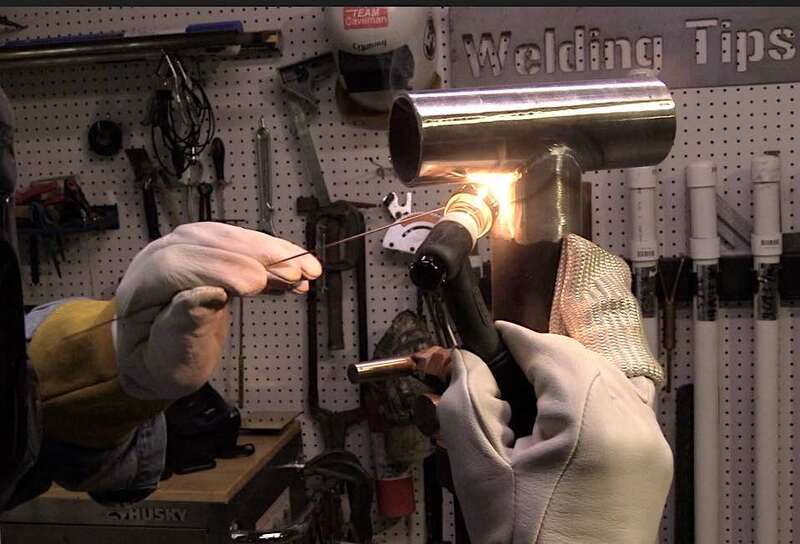 If there is an ongoing argument about GAS welding being superior than TIG welding for Chromoly tubing, then it makes sense to go just a little slower when TIG welding. This will slow the cooling rate and negate any chance of the welded area cooling too fast. 3. Don’t allow any Breeze or drafts in the room and do not speed cool the welds. 4. Use a TIG machine with high frequency starting to eliminate arc strikes. I had a "German Eye" pocket knife once that someone had used to cut a live wire. The small arc on the blade stuck out like a diamond and would not wear down with a file or sharpening stone. The same thing happens but to a lesser extent when you get an arc strike on 4130 chromoly. You get a hard brittle spot and a crack will definitely start there. 5. Do not use 4130 rod. Using a slightly under matched filler metal gives better overall properties and just plain works a lot better . Use E70S2 Tig rod and call it a day. 6. Taper off amperage slowly to avoid crater holes that will turn into cracks later on. Have you ever tried to bend a piece of 4130 Chromoly tubing? OMG! This stuff is harder than Japanese arithmetic. Compare it to 1010 steel as far as how hard it is to bend and there really is no comparison. Just get a piece of 1/2 inch tubing and try it. You will strain your left testicle trying to bend chromoly tubing. There are other chromium molybdenum steels like 4140 and 4340 but one of the most common chromoly steels is 4130 chromoly steel. 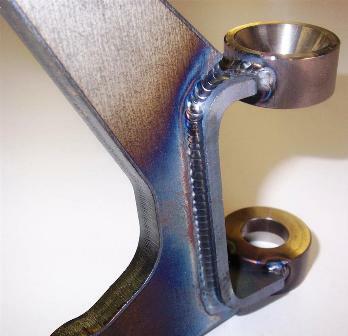 Back in the day, chromoly tubing was welded with oxy-acetylene. Why? Because it worked... and because that is what most shops had available. And then years later I am sure some old timer said "because that’s the way we have always done it" . 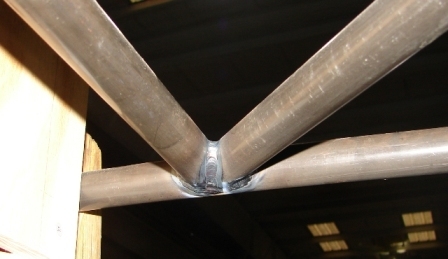 But research has been done to prove that Tig welding can be the fastest, cleanest and best way to weld 4130 chromoly tubing without risk of compromising material properties(provided the thickness does not exceed .120"). What does the number 4130 mean? What does the term "chromoly" signify? What is it most used for and why? And what is so difficult about welding 4130? Chromoly refers to a steel alloy which contains chromium and molybdenum among other elements. The word ‘Chromoly’ is a short term for “Chromium-Molybdenum" steel. The number ‘4130’ is a code of the American Iron & Steel Institute (AISI 4-digit code system) and defines the approximate chemical composition of the steel. The ‘41’ indicates a low alloy steel containing chromium and molybdenum and the ‘30’ indicates a carbon content of 0.30 percent. (that’s 3/10ths or 30 one hundredths of a percent) 4130 is often used for high end bicycle frames and race-car roll cages due to its high tensile strength, malleability and easy weldability. In addition, it is considerably stronger and more durable than standard 1020 steel tubing, which is also known as "plain carbon steel". The American Iron and Steel Institute (AISI) naming system is one of the most widely accepted systems. Designations usually consist of a four digit number, but sometimes this extends to five. The first two digits indicate what the major alloying element is, while the last 2 or three indicate the carbon content in hundredths of a percent. Example: AISI 4340 is a Nickel,Chromium,Molybdenum containing alloy steel with a 0.40% average carbon content. there also something called a "carbon equivalent formula" that basically calculates the effect that elements like chromium and vanadium etc. have on the hardenability of a steel. In other words, because aisi 4340 has 0.4% carbon but also has around 0.8% chromium, the hardenability might be the equivalent of a plain carbon steel having 0.5% Carbon. The American Iron and Steel Institute has a numbering system for steels and the 4100 series indicates a chromium molybdenum steel. The "30" in 4130 indicates 0.3% carbon. 4130 also contains 0.4 to 0.6% manganese, 0.8 to 1.1% chromium, 0.15 to 0.25% molybdenum, 0.04% phosphorus, 0.04% sulfur, and 0.2 to 0.35% silicon, but like all steels, it is mostly iron. 4130 chromoly is an ideal material for BMX bicycle frames, roll cages for race cars, and for fuselages on small aircraft because of its high tensile strength and high strength-to-weight ratio. 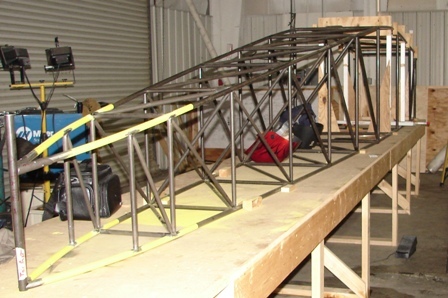 Welding 4130 is not that much different than welding steel or stainless steel as far as technique is concerned. There are just additional considerations to keep in mind. taper off your amperage to avoid crater cracks.